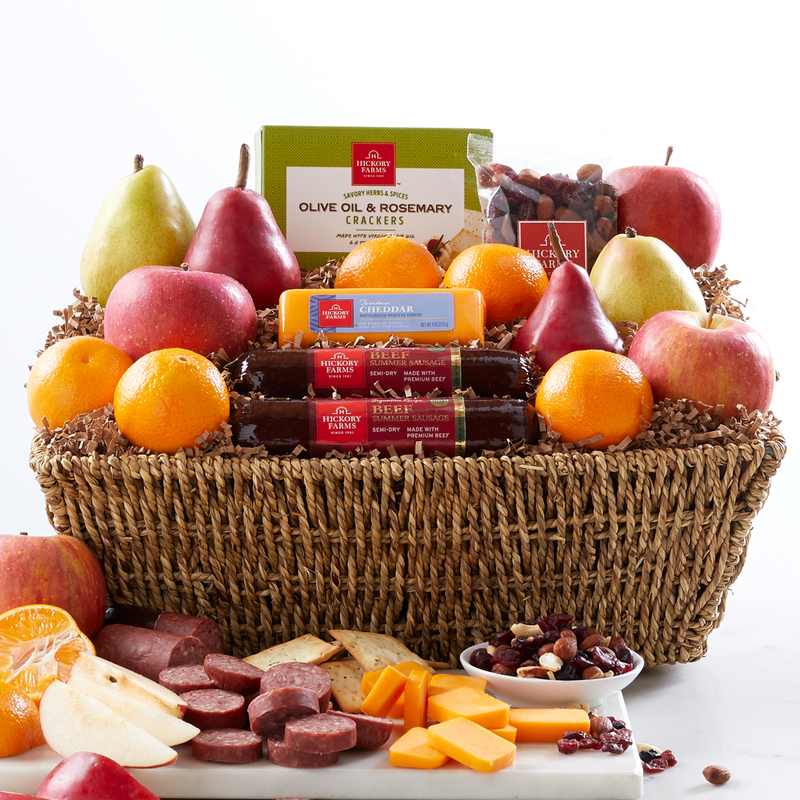 Fresh, delicious fruit meets our favorite savory bites in this gift basket! Fuji Apples, Mandarin Oranges, and seasonal pears perfectly complement our Signature Beef Summer Sausage and Farmhouse Cheddar. Serve with the Olive Oil & Rosemary Crackers and Berry Nut Bounty Mix for an easy, appealing appetizer spread.